Our threaded bumpers have a tough, solid core surrounded by a rubber exterior that withstands impact. 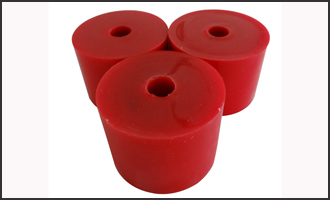 They are often used to guard, align, and position parts on automated machinery. Plus they're threaded so they're easy to install and remove. 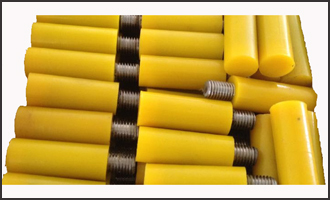 Male thread bumpers and male thread hex shoulder bumpers have a rigid stud made of steel for fastening into any surface.